Our custom hydraulic cylinder program was designed specifically for OEM with one simple philosophy: always in stock. 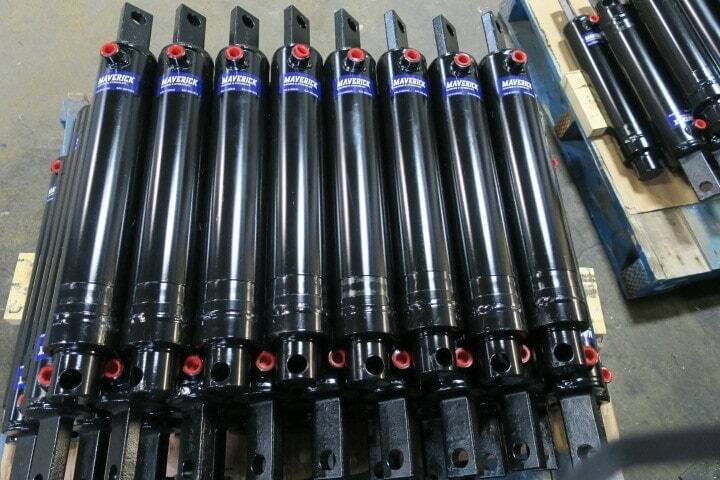 We ensure you have the hydraulic cylinders you need to keep production moving. Our friendly and flexible approach starts with offering engineering services if required and follows through with budget and timeline based needs analysis. We manufacture off-shore or in one of our North American facilities to meet your requirements. Our customer service team runs a vendor managed inventory program and works closely with your forecasting and operations teams to anticipate and supply cylinders on time every time. © Copyright | Maverick Machine & Hydraulics | All Rights Reserved | Website Developed & Managed by VCOMP Inc.